When asked “what is Ripple?” very few people out there can actually explain the concept behind it, let alone its function. It’s important to understand that Ripple is a dual entity, meaning it’s both a platform and a currency. The Ripple platform, called RippleNet, is an open-source protocol that was built to allow easy and affordable transactions. It does this by connecting banks and payment providers, thereby creating a frictionless experience for sending and receiving money globally. The short answer to what is Ripple? is that it’s a real-time gross settlement system (RTGS), currency exchange, and remittance network. It was released in 2012 as an iteration of Ripplepay. Ripplepay, Ripple’s predecessor, was created in 2004 by Ryan Fugger, a web developer in Vancouver, British Columbia. Having worked on a local exchange trading system in Vancouver, Fugger came up with the idea of creating a platform for individuals and communities to create their own money through a decentralized monetary system. Fugger released Ripplepay.com in 2005 as a financial service that provides secure payment options to registered participants of an online community using a global network. After following Ripplepay’s activities for some time, Jed McCaleb of eDonkey network conceived a new idea to design a digital currency system in which participants within the system approve Ripple transactions by consensus, unlike the Bitcoin mining process, which was designed to make use of blockchain ledgers for verification. This new system was designed by Arthur Britto and David Schwartz. In August 2012, McCaleb and the rest of his team approached Fugger to present their idea of the Ripple system and requested the rights to it, which he eventually granted. Simply put, Ripple’s mode of operation is similar to that of “simple mail transfer protocol” in email marketing. It allows for different financial institutions to transact and relate directly. Ripple makes use of an open-source protocol, a basic infrastructure technology put in place for interbank transactions. The open-source protocol allows for both financial and nonfinancial institutions to incorporate the protocol into their systems, making it accessible to customers. For a transaction to take place on the Ripple platform, two parties are required. The first is a regulated financial institution whose function is to hold funds and issue balances on behalf of customers. The second is “market makers,” such as hedge funds or currency trading desks, who provide liquidity in the currency they want to trade in. With these complexities in mind, what is Ripple? The basics of Ripple’s principle is that it is designed around a public ledger in which its contents can only be verified by an agreement among all participants. The public ledger also holds vital information about offers to trade currencies and assets in addition to balances, thereby building the first distributed exchanges. This agreement permits payments, exchanges, and remittance in a distributed process. Payments are made via cryptographically signed transactions, whose denominations are either in fiat currencies or Ripple’s internal currency (XRP). For Ripple transactions using XRP, Ripple utilizes its internal ledger; and for transactions occurring in other assets, Ripple’s ledger only records the amounts owed, with assets represented as debt that needs to be settled. Initially, Ripple had no real-world enforcement power; therefore, it only kept records in its ledger. As part of its advancement policy, Ripple is now fully integrated with quite a number of user verification protocols and bank services. A user needs to select which members they trust, and to what extent they trust them. When a payment that isn’t in Ripple XRP is made between two members who trust one another, the system adjusts the balance of the respective credit line in respect to the limits set by each user. Bitcoin is the most popular cryptocurrency, arguably having the most massive market cap. Ripple, however, emerged onto the market with quite different features when compared to Bitcoin. An important feature distinguishing Ripple from Bitcoin is how it’s sold, especially the speed at which transactions are completed. Bitcoin users have complained about how long it takes for a transaction to be completed on the Bitcoin network, and because of Bitcoin’s volatility, by the time the transaction completes, you might not get the actual amount of BTC you intended. But with Ripple, whose estimated transaction time is 4 seconds, there’s no room for funds to be shorted. There is one other difference between Ripple and Bitcoin: Bitcoin is 100% decentralized, as its major purpose was to eradicate the need for a third party, like banks, in any transaction. Ripple, on the other hand, is designed to make use of banks and other financial institutions by selling its services to them. Basically, the platform is far more centralized because the company holds most of the Ripple coin in its possession. Despite both being categorized as large “cryptocurrencies,” they nonetheless each fall under different categories when it comes to how they’re used. The major purpose of Bitcoin is to create a new financial system. Ripple, however, aims at simplifying the process of asset transfers and assists financial systems that are already existing by creating a digital token. The digital asset of the Ripple system is XRP. It’s capable of completing a transaction within 4 seconds, and it can control 1,500 transactions every second. Ripple’s market price has been quite unstable in its short history. Presently the value of XRP is $0.48, while the market cap is about $18.8 billion, per CoinMarketCap. For the better part of its existence, Ripple has continually failed to rise above the $1 mark. In January 2017, XRP was valued at just $0.006. During the latter part of the year the value began to climb, and by the end of May, the value hit nearly $0.40. The price dropped not long after and stagnated within the $0.10–$0.20 range for the next six months or so. In December 2017, Ripple saw a massive leap in its price. By the 14th, it had grown past $0.80 in value. Just a week later, it made a groundbreaking leap by rising above the dollar mark for the first time. Its value increased as it hit $2 in another week, and it reached its highest point ever on the 4th of January, 2018, when it hit $3.84, overtaking Ethereum for the second-highest cryptocurrency market cap. This all happened at about the same time Bitcoin hit a fantastic value of $20,000, thus leading to an explosion in the crypto world. It’s not surprising that the growth in value for both Ripple and Bitcoin couldn’t be sustained. By February, they both crashed terribly, and Ripple fell back under the $1 mark. The process of buying Ripple or its XRP is far from the convenience of Bitcoin. Cryptocurrency exchange platforms like Bitstamp occasionally allow you to exchange USD for XRP, but it doesn’t occur often. Other exchange platforms that trade Ripple, such as Coinbase and Binance, prefer you exchange a different cryptocurrency, such as Bitcoin and Ether, for XRP. Regardless of the currency, if you’re exchanging for XRP, you’ll need an account on the exchange and a Ripple wallet where you will send your XRP. Because XRP is so notoriously fast, once you have everything in order and initiate the transaction, you should have your XRP relatively quickly. The future seems to be bright for the Ripple coin, as it’s set to hit an all-time high of $7 by the end of 2018 due to new developments and a rising interest in XRP. Although Ripple’s current trading volume is nowhere close to that of other prominent cryptocurrencies like BTC and ETH, hopes are high that there will be massive growth in trading volume by the end of 2018, and some speculation suggests that the Ripple cryptocurrency will hit the $10 mark before the year runs out. Many crypto followers don’t buy the idea of banks or any other financial institution regulating the cryptocurrency. This suggests that, although there are expectations that the overall price of XRP will spike, this spike probably won’t be consistent and will see a great deal of fluctuation. Ripple Labs have outlined some features that could make the coin very useful. A couple of the leading options are analyzed below. It can function as a bridge currency, which can be crucial to a transaction that involves two rarely traded currency pairs. Ripple’s purpose when it was first designed was to serve as a medium of exchange and a distributed real-time bill settlement system, rather than an alternative currency. XRP can be traded freely against any other currency on the currency exchange network, and its value fluctuates against dollars, euros, yen, Bitcoin, etc. On April 25, Ripple Labs announced the addition of a new feature to the Ripple blockchain system aimed at making transactions between seldom-traded currency pairs easy. The feature was named “Autobridging.” This feature is also designed to expose more of the network to liquidity and better FX rates. 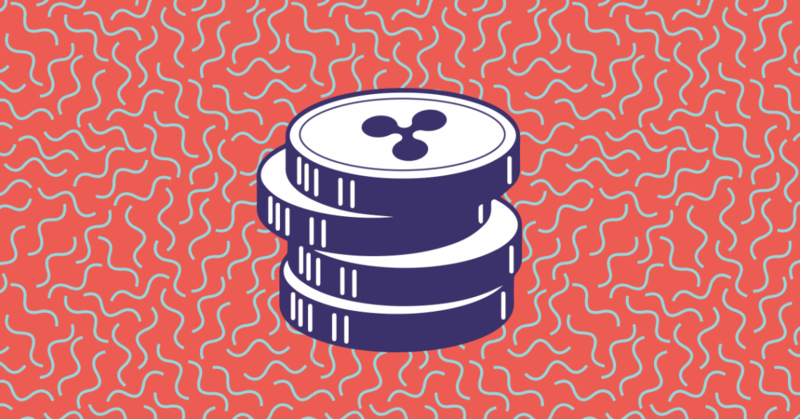 In order to protect users of the platform against network flooding and scams when there’s a transaction in the system, Ripple charges a transaction fee. The fees are aimed at making scam attacks too expensive for hackers to launch. If access to the Ripple network were free, hackers could post large numbers of fake accounts and transactions in a bid to overload the system. As a result, the size of the ledger becomes enormous and unmanageable, and deals would begin to take longer. Therefore, to transact on the Ripple coin platform, every account owner is required to have a small reserve of 20 XRP ($4.96 as of December 5, 2017), and a transaction fee starting at .00001 XRP ($0.000002 as of December 5, 2017) must be spent for each trade. Nobody receives this transaction fee; the coin is automatically destroyed. This article has tried to demystify the question on every crypto users lips: “What is Ripple?” Overall, Ripple plays a unique role on the cryptocurrency market. Despite this, its value and market cap have seen a massive climb in the last year, and it now competes with Bitcoin and Ethereum for a spot at the top.